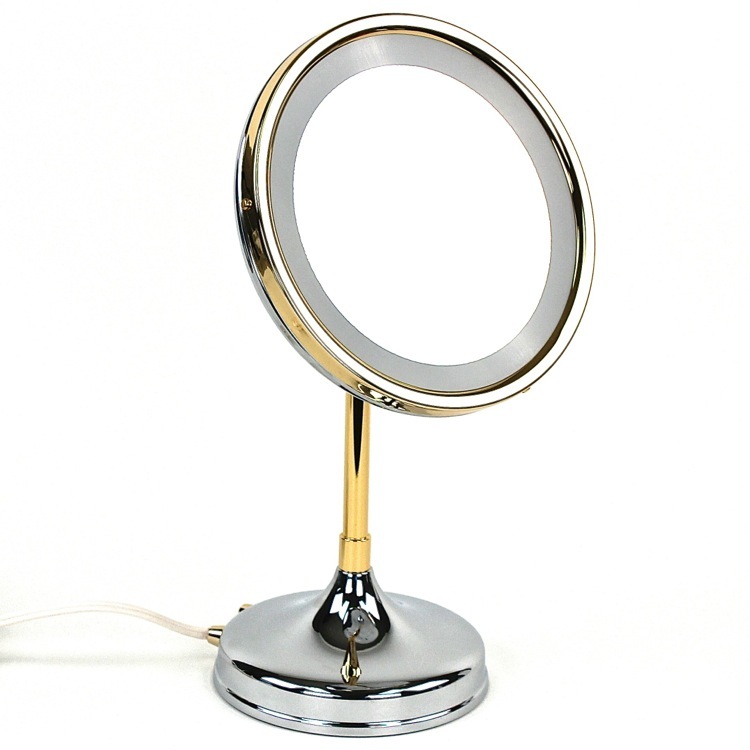 This incandescent lighted magnifying mirror reflects your good taste and fabulous style! Magnifying mirror with one face features your choice of 3x or 5x magnification and rests on a svelte pedestal. Beautiful mirror adds stylish sophistication to your space and is available with a chrome and gold finish.